114 - A House. A house is at the center of every event. 335 - You have already been told everything. You forget it and want new things. The old things will be repeated with new words. I - Less agitation, more attention. I - Freer fantasy. Use it. 533 – It is your synchronic moment for a candle and a prayer. Offer your day. III - Hod, Justice upon you and for you. 462 - Try to hide your own cowardice. Pride and presumption. Look at what you are hiding. V - It is laziness looking for a justification. 341 - The journey is not propitious. Like the ritual during the full moon, so is the seed at the new moon. Wait. IV - Anxiety and thoughtlessness destroy the work of years. 326 - The strong mountain. Retreat prepares for victory. V - A smile is necessary. 422 - Give a little gift, even if it is not a special day. 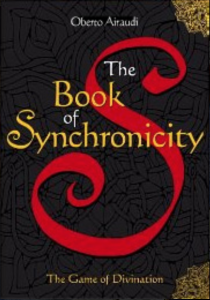 This is Synchronic in the chain of events. II - To the Priestess of your temple, flowers. 223 - Dry earth does not produce. With water it sprouts, with air it breathes, with fire it grows. III - Do not trust relatives. Egoism. 542 - The witness. Remember the way you are, forget the way you were, desire the way you will be. 545 - The light is steady and it is not suffocated by the storm. Strength. II - You pass undamaged through the crisis. 362 - Every gesture is an important ritual. Tell me, what is there by chance? I - Nothing, nothing has happened for nothing. A goal that escapes you.